Imagine a stress-free holiday filled with family movie weekends and scrumptious seasonal baking. It’s possible! Instead of waiting until Black Friday to kick off your holiday shopping, make it a priority now. Early holiday shopping frees up your weekends in December so you can indulge in family time, home decorating, community parties, and seasonal events. 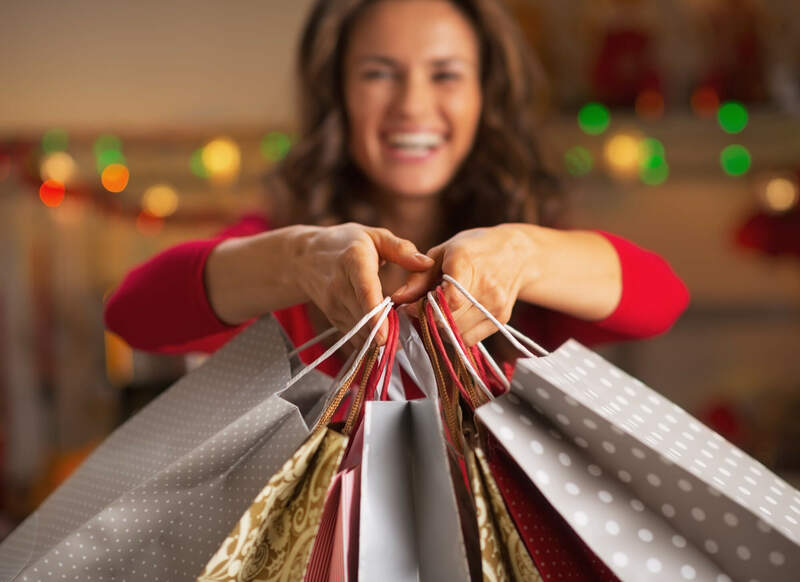 Avoiding the stress and hassle of overcrowded shopping malls is simple with a little early holiday shopping preparation. Grab a notebook and put these plans in place. Brainstorm a list of everyone you plan to buy a gift for this holiday season. In addition to family and friends, don’t forget about co-workers, colleagues, and service providers, such as your dog’s groomer or your hairstylist. Next to each name, write a note about their hobbies, collections, or likes to help you choose a meaningful gift. It’s also a good idea to assign a budget to each person to manage your holiday spending. With your list at hand, make each retail visit focused. Study the departments and goods the store offers, then scan your list and see how many people you can shop for at once place. There’s no reason to go back to the same store several times over the next few weeks. The same holds true for shopping with online retailers. Save on shipping fees, get more leverage out of coupon codes, and reduce the strain on delivery services by placing one order for several gifts. Local craft fairs are also a great place to get all your shopping done at once. Stocked with a variety of vendors offering a wide range of products, you’re sure to find something for everyone on your list in the aisles of stalls and goodies! You have a list and favorite stores picked out, but when should you go? Consider combining outings to save on travel time, transportation costs and physical energy. If you go for groceries every Saturday morning, and the supermarket is near your favorite shopping center, do all of your shopping at once. Have a lunch date planned? Duck into the nearby retailers afterward to check a few more gifts off your list. Some stores offer both brick-and-mortar locations as well as online ordering. If you know what you want to buy, skip the hassle of traveling and standing in line by shopping virtually. Many retailers offer free shipping if you spend a minimum amount online. If you have several packages to wrap, break this task into small chunks of time over the course of a few weekday evenings or Sunday afternoons to make it more enjoyable. Put on a movie, break out the cocoa, and wrap just a few each time so you can enjoy the process. Hide the wrapped gifts away in a storage tote in a closet or under a bed. You can keep adding items as you get closer to the holiday. When you receive an invite for a cookie exchange or holiday party, you’re more likely to accept since you’ve been making strides on your holiday shopping! From everyone here at Copperleaf Community, we hope you have a joyous and enjoyable holiday season ahead. Happy holidays!